The internet has forever changed the way the world communicates. It’s also changed the way marketers reach their audiences. So if you are a marketer or an entrepreneur and you are not utilizing Twitter and other social media, you’re not only missing the boat, you’ve fallen off the dock. A study conducted by emarketer and reported in November said that 93 percent of organizations surveyed planned to increase their online advertising and social media spending in 2014. That certainly says something about the confidence marketing experts have in social media’s ability to boost brands. Social media provides an opportunity to engage with customers to ultimately, in theory, increase sales. So as an entrepreneur or small business marketer, you owe it to yourself and your company to learn more about social media and its ability to market your brand. 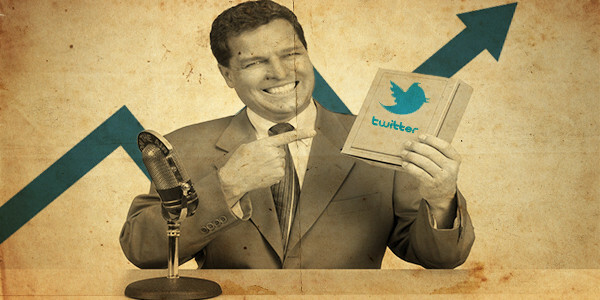 With this post, we’re going to focus first on utilizing Twitter for business. When Twitter first hit the scene in 2006, serving up micro-content of 140 characters per tweet, it seemed unfathomable that it would become as wildly popular and influential as it has become. Today more than 200 million people use the site daily, for everything from following celebrities (Justin Bieber has 44 million followers) to sharing breaking news. Twitter users are getting older. While the under 25 set latched on early, today the fastest growing group of users are people old enough to be their parents, which is also the consumers with the highest disposable income and spending patterns. So what is the best way to utilize Twitter in business? Gary Vanyerchuk, a Park Avenue marketing savant and head of VaynerMedia, a social media marketing agency, passionately promotes using the platform to provide “value,” versus simply using it to spew advertising sound bytes. The Thank You Economy, one of Vaynerchuk’s best selling books, offers compelling, data-driven evidence that we have entered into an entirely new business era, one in which the companies that see the biggest returns won’t be the ones that can throw the most money at an advertising campaign, but will be those that can prove they care about their customers more than anyone else. According to Vaynerchuk, the immediacy of social media, including Twitter, gives marketers the ability to tie into any event or news item, creating an infinite opportunity to communicate with an audience. Utilizing Twitter in business, Vaynerchuk says, provides the opportunity to move away from asking an audience to “do” something, and instead puts the marketer in a position of providing value with no strings attached. Utilizing Twitter in business provides an opportunity to connect directly with people – even one on one. Vaynerchuk says that, when you show your audience that you care about them by providing them with insights that are meaningful and altruistic, or by responding directly to them, you eventually “guilt them” into buying something from you. While the idea of producing guilt in the people you are supposed to care the most about may seem hypocritical, evidence shows that people who engage with a brand or a business online not only gain brand awareness, but eventually become customers and even “ambassadors” for the brand. So today is the day to dust off your Twitter account and start connecting with your audience. Your first step is to begin following others on Twitter who are influential in your industry. Watch what they do. Learn from them. Second, commit to tweeting (and retweeting) regularly, with content (including photos, links, retweets) that you know your audience will find interesting. Don’t think of Twitter as an advertising vehicle, but as a way of helping people understand your business and the values behind it. When you engage with people that share your values, you will grow your business. In my next post, I’ll focus on some specifics about utilizing Twitter in business: what to tweet, when to tweet, and how to tweet. This article is the 1st article in an ongoing series of articles I’m writing on Utilizing Twitter For Business. If you feel like you got value out of this article, and might like to learn more… please click here to view all of the articles I’ve written on the subject, to date. I think of Twitter as the hub. All the social media activity we do for our clients gets a tweet.